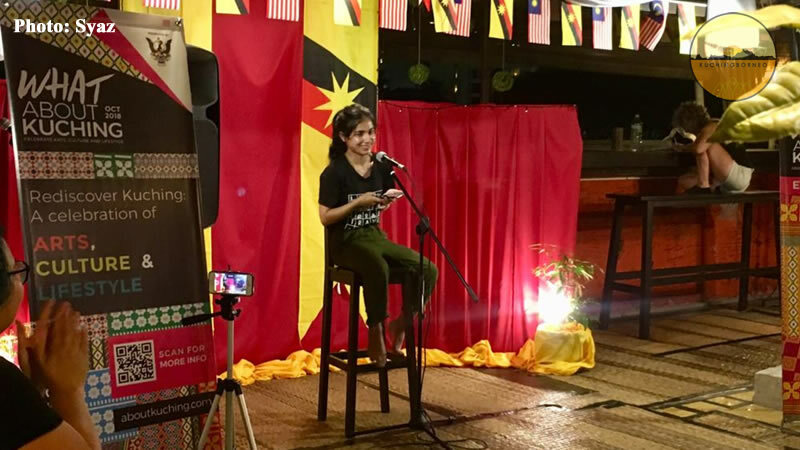 The spoken words scene in Kuching gets a massive boost recently through the What About Kuching Festival. You see, each one of us has our own stories to tell. Our own experience, our perspective about life. That’s what makes all of us unique. But not everyone is gifted to express these stories down in words, what more to say, articulate it. Now what if I tell you that you can draw these out from within yourself? Interesting isn’t it? 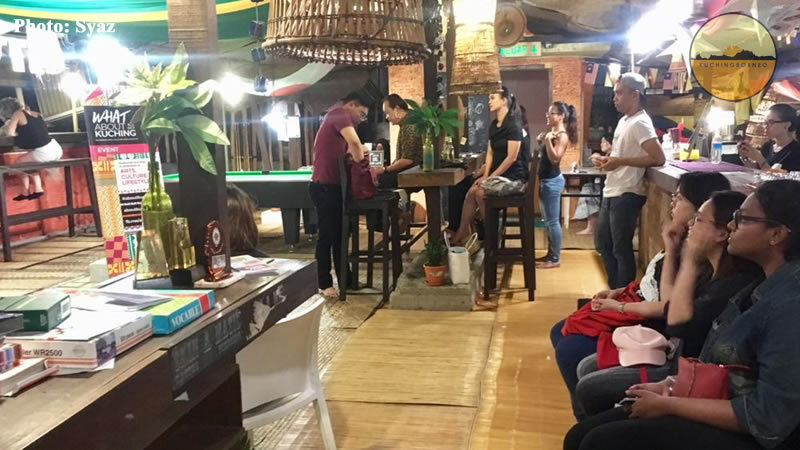 The workshop called ‘Suara Hati’ organised by Wordsmiths of Kuching and Kamek Kitak Story Nights is all about telling stories in Kuching. 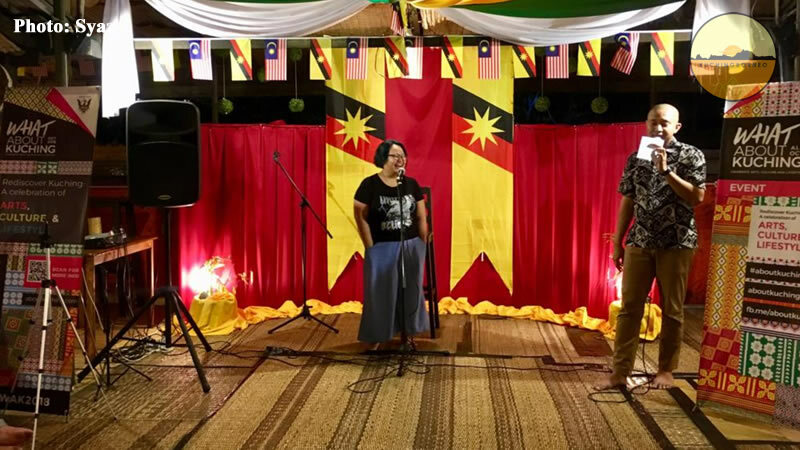 It is one of the main highlights of the spoken words scene in Kuching. 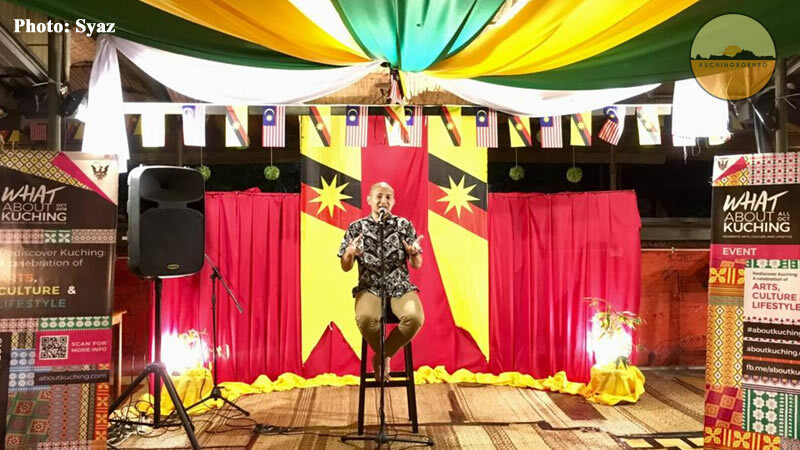 Held at The Waterfront Hotel Kuching on 30th September 2018, this story telling workshop was hosted by spoken word poet, Jamal Raslan. The workshop teaches about being more self-aware and to withdraw stories out from ourselves. Interestingly, how this work is through the method of simple question and answers. Participants would sit in a comfortable-size circle with a person standing in the middle. The host would start off with a simple question like “What is the happiest moment of your life?”, and the answer should come from the person in the middle, leaving out complex details. Anyone within the circle which can relate to the given answer will replace the person standing, and the cycle continues and it can sometimes lead to something more personal. Some of the people at the GEMA sessions. The whole point of this activity gives a person an opportunity to backtrack their memories and feelings towards a certain situation in their lives whilst creating a comfortable ambiance opening up to strangers. According to Jamal, once you are self-aware or able to connect and find these stories within yourself, creating art with words would come more natural. Participants are then invited to share their stories in the night at ‘GEMA: A Suara Hati Showcase’. ‘GEMA’ is a story telling showcase featuring participants from ‘Suara Hati’ Workshop held during the day. 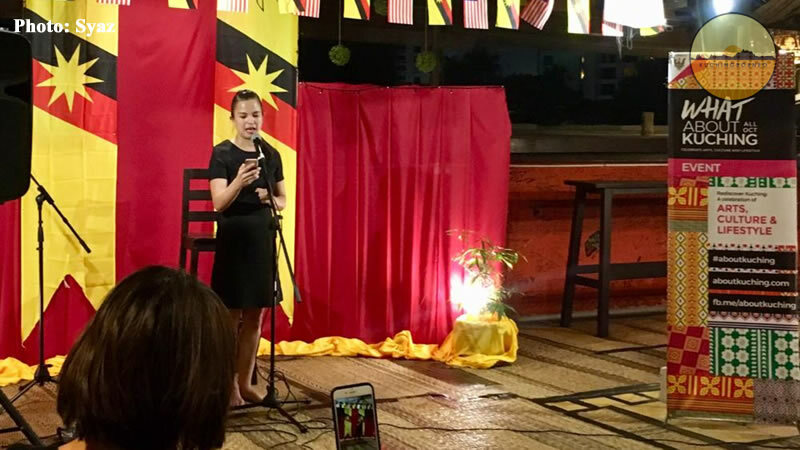 It is part and parcel of the whole spoken words scene in Kuching. The workshop was a definite success as ‘GEMA’ revealed inspiring spoken words by participants in an open-mic concept. Moving stories, awakening poems, and meaningful spoken thoughts were the main highlights during GEMA. The sharing session was very warm and intimate, an important aspect for a more relaxed discussion. It was an interesting night indeed especially for someone who is new to this. Having to connect art with our city, Kuching, the first thing comes to mind would be visual art being portrayed on our buildings, clothing, or even sculptures. Fascinating enough, Kuching is picking up on a different form of art expression which is through words. According to the organisers of ‘Suara Hati’ and ‘Gema’, the turnout for their events are unexpected. Not to mention the demand of regular on-going events throughout the year like First Reading, Word of Mouth and Human Library. There’s actually regular activities created by the spoken words scene in Kuching like these. Those interested in joining regular yearly activities can follow Wordsmiths of Kuching or Kamek Kitak Story Nights on Facebook and Instagram. However, What About Kuching Festival this year is bringing extra showcases and workshops exclusively for you so don’t miss out the lineups of more activities like these in this whole month of October. //This article was contributed by Syaz. Get the latest update fast and easy! Signup for our newsletter update and be the first to know new things from KuchingBorneoInfo! 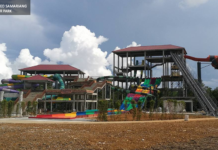 KUCHINGBORNEO is an insider travel blog about Kuching, Borneo by Cyril Dason. A blog project by Cyril Dason since 2011.